Ronald McDonald House Charities of Alabama (RMHCA) wants supporters to channel their inner rock star for the 2019 Red Shoe Run! For the 15th Annual event, RMHCA is thrilled to announce not only a new date but a new location! The 2019 Red Shoe Run will start and finish at the Ronald McDonald House in downtown Birmingham on Saturday, March 16, 2019. The 5K portion will begin at 8 a.m. and there will also be a 1-mile fun run. To really amp up the spirit of the event, the theme for this year is Red Shoe Run: Rockin’ 5K! Runners are encouraged to don outfits inspired by their favorite rock bands! From rockabilly all the way through to 2018, there are so many great eras to draw from. 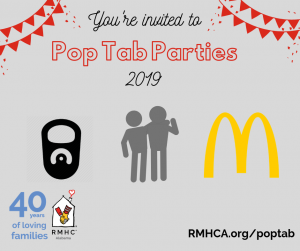 After the race, supporters will enjoy a block party in front of the Ronald McDonald House complete with music, vendors and more! Top fundraising teams will be recognized as well as the top three runners in each age division. Registration is now open for Red Shoe Run 2019: Rockin’ 5K at redshoerun-bham.org. Early bird registration for 5K runners is $25 and $15 for the 1-mile course. All registrations include a t-shirt and all proceeds from this event benefit Ronald McDonald House Charities of Alabama. Follow Red Shoe Run on Facebook for updates and fun ideas to get in the rockin’ spirit! Anyone interested in becoming a Team Captain can reach out to Special Events Manager Katie Hannah for fun ideas to recruit runners and raise money for RMHCA. She can be contacted at Katie.Hannah@rmhca.org.